How does predictive modeling work? A recent article describing how to predict medal counts by country yields some interesting parallels with our own best customer predictive modeling process. Another notable research finding: certain countries, like Jamaica and Kenya, are able to buck the trend. In statistics-speak: these countries are considered outliers, meaning that the factors related to these countries (i.e., the variables) indicate that they should be winning far fewer medals than they actually do. 1. Not all countries have the same chances of winning a medal at the Olympics. Parallel: Not all of your prospects are equally likely to buy from you. 2. There are identifiable factors that can predict a country’s medal success. Parallel: There are identifiable factors that can predict who will be most likely to buy from you. 3. Money matters, but it’s not the only factor in winning medals. (Case in point: Japan has the world’s third-strongest economy, but it is predicted to come in 13th in terms of medal count). Parallel: People with more money have greater capacity to buy from you, but having money doesn’t necessarily mean they are the ones who will buy from you. Several other factors matter, and sometimes capacity to buy might be inversely correlated with their propensity to buy from you. Parallel: Good customer models can be highly predictive of customer response rates. 5. There are always going to be outliers that buck the trend (i.e., Jamaica and Kenya), but these don’t take away from the power of the model. 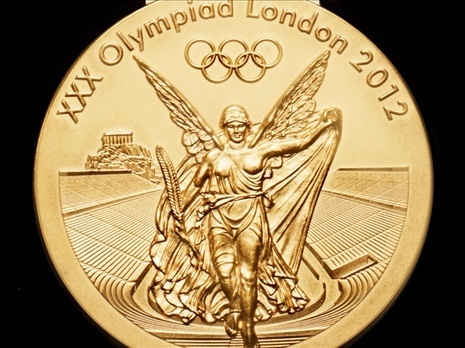 The bottom line is: there are ways to identify your own gold medal customers. Take advantage of predictive modeling before your competition catches on.